Get an Electronic Sell Sheet for your book! 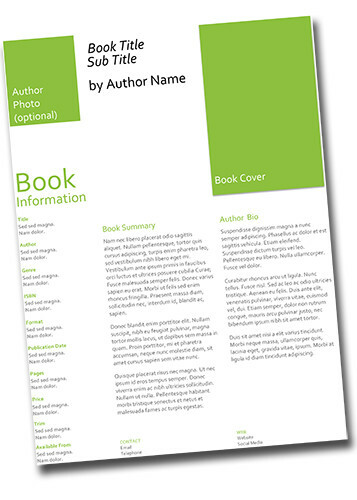 The Electronic Sell Sheet is a one-page, professionally designed and written document that summarizes key information about you and your book. Word and PDF files that you can print or share electronically. A guide featuring useful tips on book publicity to help you effectively use your Electronic Sell Sheet. bookstores, libraries, businesses, and other prospects. You’ll need to complete a short questionnaire and email us a high resolution of your book cover image and your author photo (if desired).